While Google’s services are some of the most-loved of this age, it’s no secret that their free price tag comes at a cost — Google knows a lot about us How Much Does Google Really Know About You? How Much Does Google Really Know About You? Google is no champion of user privacy, but you might be surprised just how much they know. Read More , and they’re always collecting more information. Some may see this as a fair exchange for the powerful apps they provide 5 New Google Apps and Features That Will Wow You 5 New Google Apps and Features That Will Wow You Google has been on a roll lately. The Internet giant has launched more new apps and features to make life easier for its users. Let's find out some of the best ones. Read More , but it may drive others to steer clear. If you’ve been using Google services for a while, you might be interested to look back and review your history with them. Visiting the Google History page lets you do just that, but if you take a closer look, you’ll find some interesting additional options — namely, your entire audio history of Google Now searches. It’s one thing to view every search you’ve made on Google (I found out that I’ve searched over 32,000 times), but it’s pretty creepy that you can listen back to every “Okay, Google” prompt you’ve ever spoken into your phone. 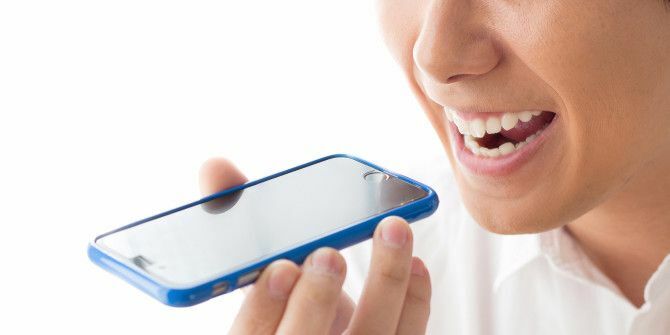 It could be fascinating to listen to your tone of voice when you searched for certain things with your phone, or just see how your voice searches compare to your text searches. Even some of Google’s faithful might find this too much to handle. Should you be scared by this amount of information on you, know that you can delete any entries you find here, and that it’s possible to use Android without Google How to Use Android Without Google: Everything You Need to Know How to Use Android Without Google: Everything You Need to Know Want to use your Android smartphone or tablet without Google? Want to use open source software? Here we take an in-depth look at exactly how to do that. Read More and still have a powerful smartphone experience. We want to hear what you think on this one — do you find it interesting or useful that you can revisit your entire history of voice searches, or is does it make you nervous that Google keeps all of these recordings? Let us know what you think about this in the comments! Did you find any funny clips from a while back while browsing? Explore more about: Google Now, Google Search, Online Privacy. Not bad this is implemented in smartphone Uhans A101.